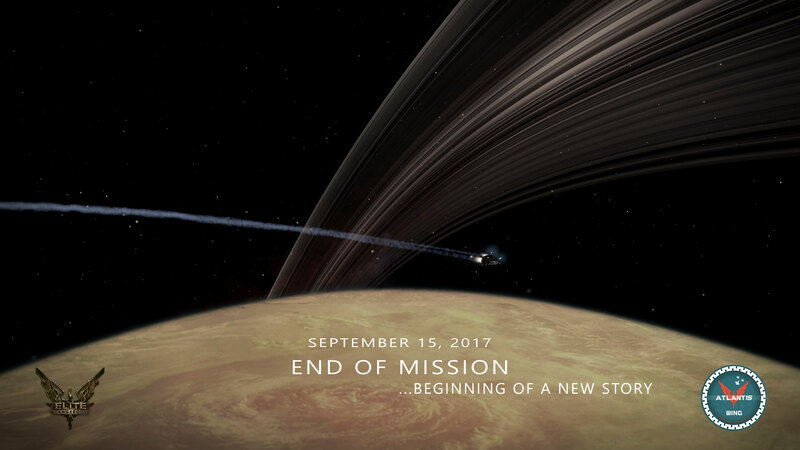 Wing Atlantis Tribute to Cassini Probe - Wing Atlantis A.D.M. 1286 years after this small thing fell in Saturn’s high atmosphere. Few minutes for this probe, and start of centuries of space travels. Why ? Because this metal manufactured box sensed a last information, a very last, just before being crushed by the Regal Planet pressure: there was life outside earth ! This was just amoeba, it was even amoeba life signs, but it was there, on the highest layers of Saturn’s clouds, the place where the “air” doesn’t crush you and transform your body and your ship in a small diamond.